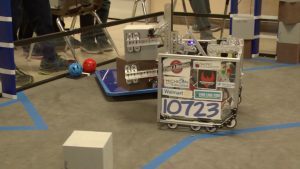 While several Upper Peninsula middle school robotics teams have returned home safely from a trip to Battle Creek after competing in the state robotics championship, high school teams are just getting started. Among the four U.P. teams was the robotics group from Houghton Middle School, who have built some pretty impressive machines. ‘This robot is fascinating,” said sixth grader Cecilia Ong, who helped with programming of her team’s robot. 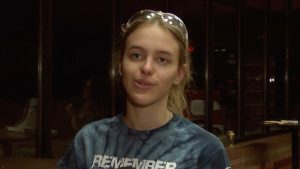 Team Leader Melody Doig says, while the middle school team hopes to do better next year, the high school team is anxiously awaiting the build requirements for their level of competition. The world level competition will be held in Detroit in April. Last year’s challenge required the students to build a bot capable of shooting basket balls. While the team can’t start on the new build until the new game is released, they are currently spending over 20 hours a week making adjustments and testing new ideas on that robot as practice.